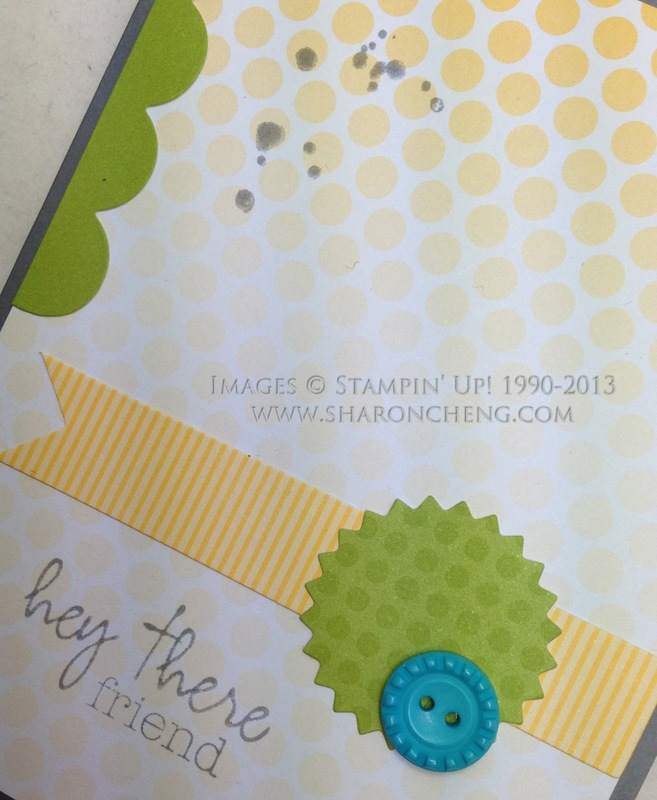 Paper Pumpkin by Stampin' Up! is a new monthly kit program that anyone (even you) can enjoy! It comes in a sweet box, but you'll really love what you find on the inside: All the stamps, ink, paper, and accessories to create pinable projects. Create stuff like cards, journals, décor, and more! It's so easy to get started. Simply sign up for the program by visiting www.mypaperpumpkin.com and click Get it. Every month a new, surprise project kit arrives at your doorstep. Just think of the anticipation of creating a fun project to pin, show off, and share with your friends and family-every month! Sign up for your monthly Paper Pumpkin by visiting www.mypaperpumpkin.com and click Get it. Please be sure to select Sharon Cheng as your demonstrator when you're asked during the registration process. The Welcome Kit is the very first Paper Pumpkin you will receive in your first month of membership. The Welcome Kit includes a free gift-a clear acrylic block! 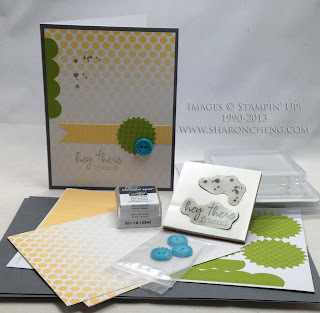 This is the welcome kit we received at Stampin' Up! 's Leadership Conference.